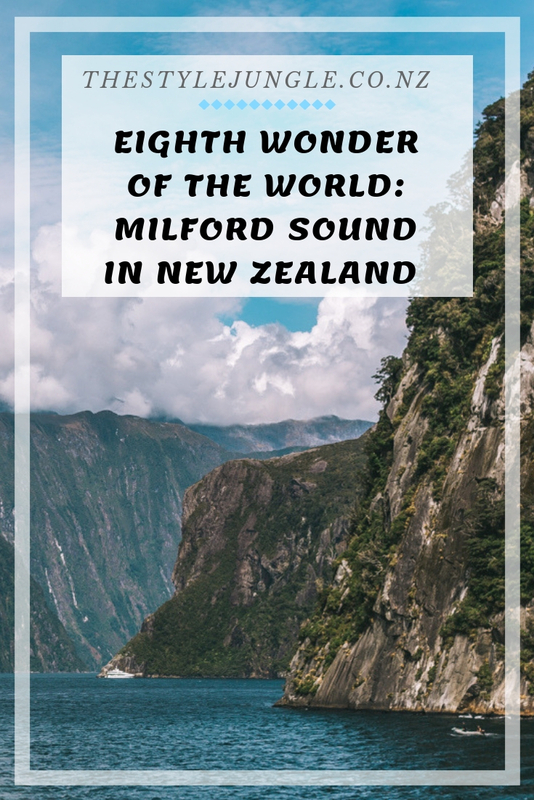 If you ask me about the quintessential New Zealand destinations I was dreaming to visit, I would name White Island (that we were lucky to explore some time ago) and Milford Sound. 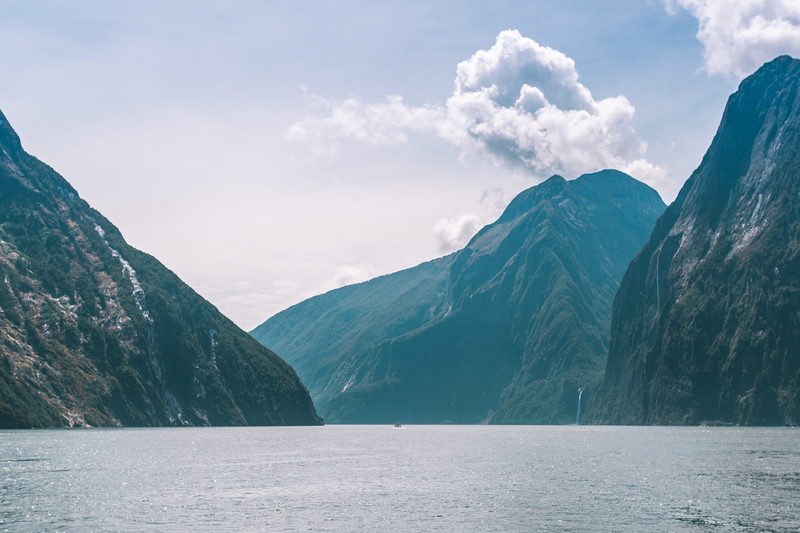 Milford Sound is known as the eighth wonder of the world and the most visited sight of the country. 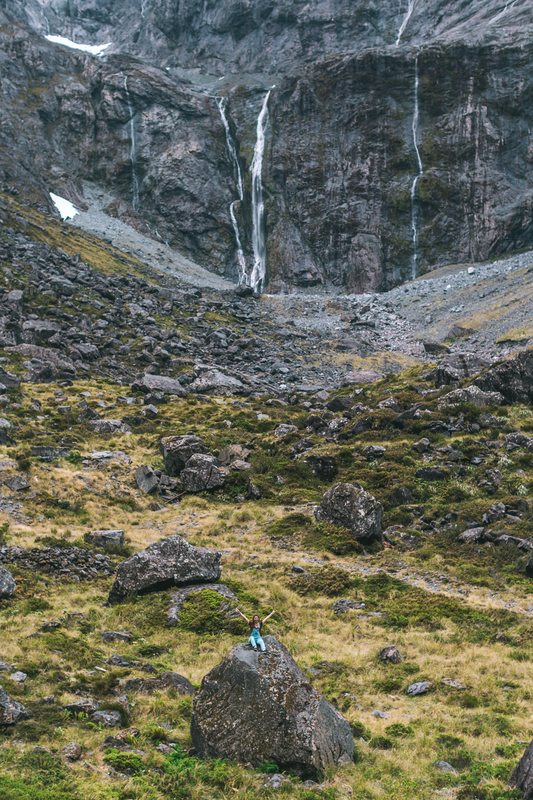 Sounds so worth driving 300 km from Queenstown, don’t you think so? 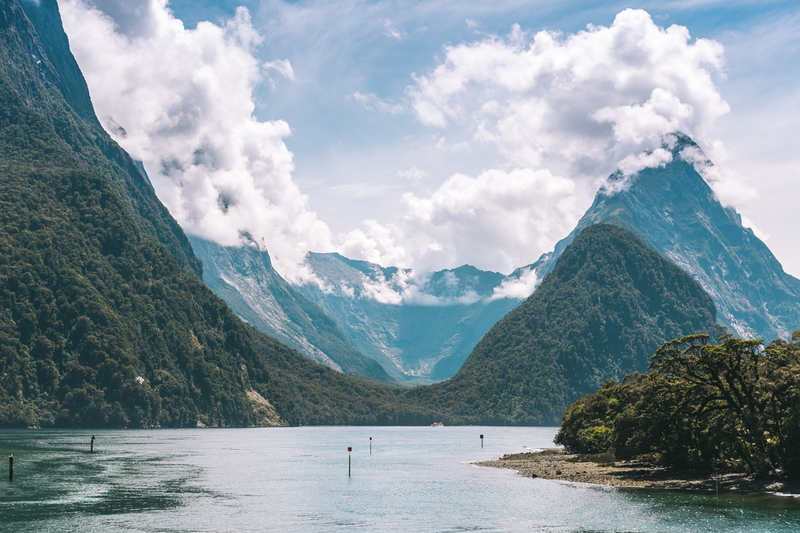 Milford Sound is a fjord on the South Island. 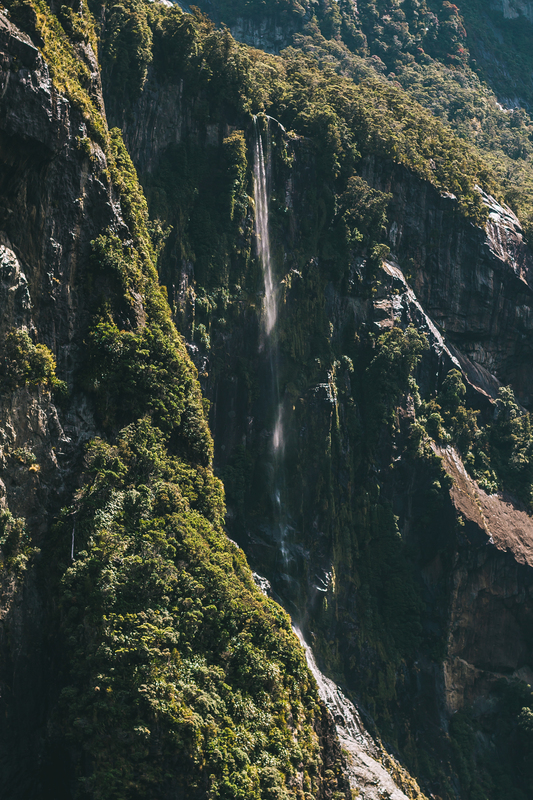 It runs 15 km inland from Tasman sea and is the most spectacular place you can only think of: dizzying depth of the water, surrounded by 1,500 meters high peaks and hundreds of mesmerizing kilometer-high waterfalls. 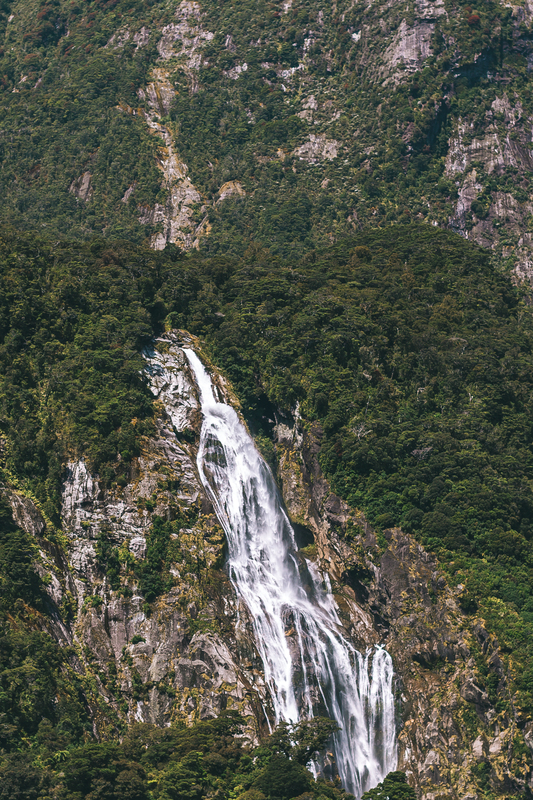 The reason it is a bless to visit Milford Sound after a rainfall, that fuels those cascading rivers. 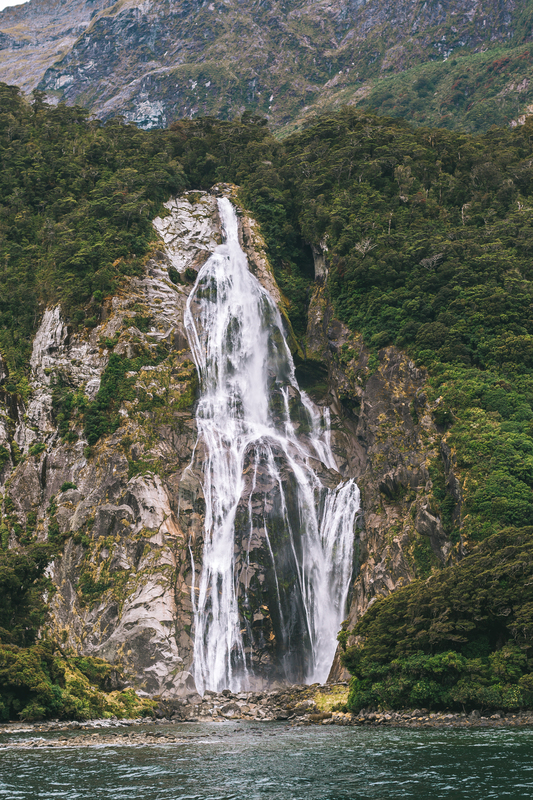 Luckily for the waterfalls lovers, Milford Sound is also known as the rainiest inhabited place in New Zealand – an average of 6,400 mm per year! There are several starting points. Most of the tours depart from Queenstown. 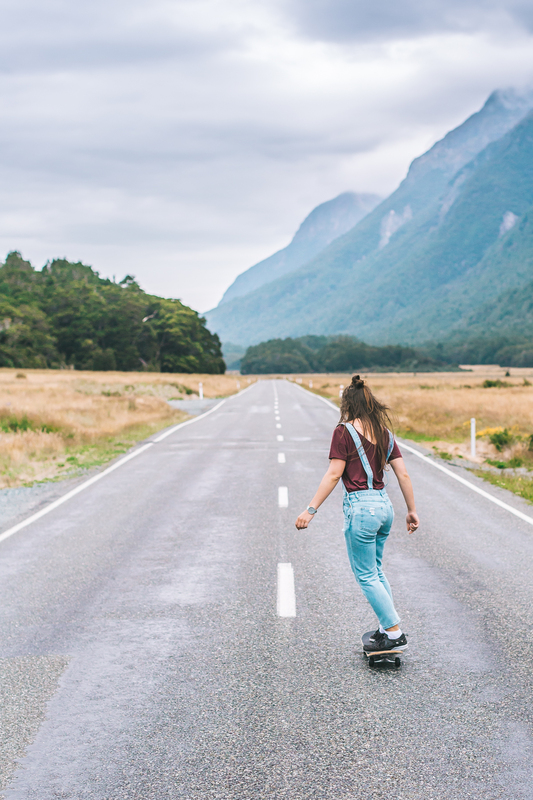 You can either take a bus, drive your own car (best option to my mind!) or fly a helicopter there. 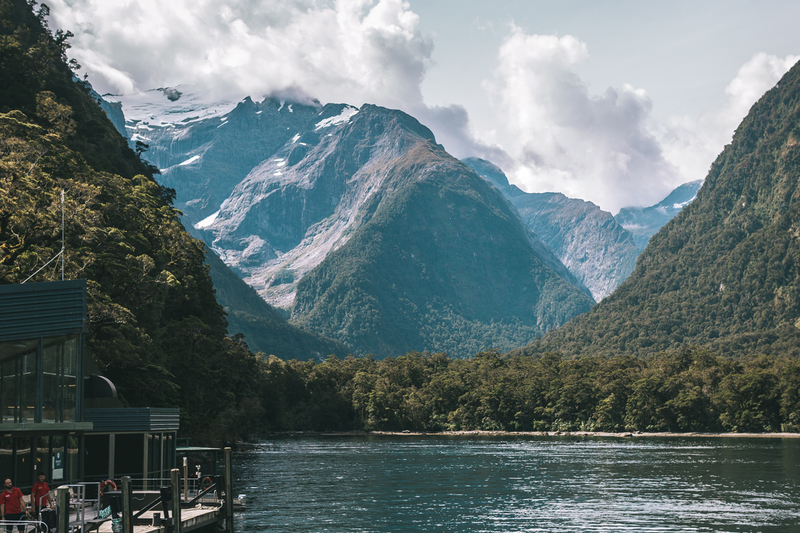 It takes around four hours to get to Milford Sound from Queenstown, but I would recommend to have at least two hours extra, because the road there is absolutely fantastic – you would want to stop every five meters to take pictures and soak in the best views of your life. I will highlight the places you can’t miss a little later. 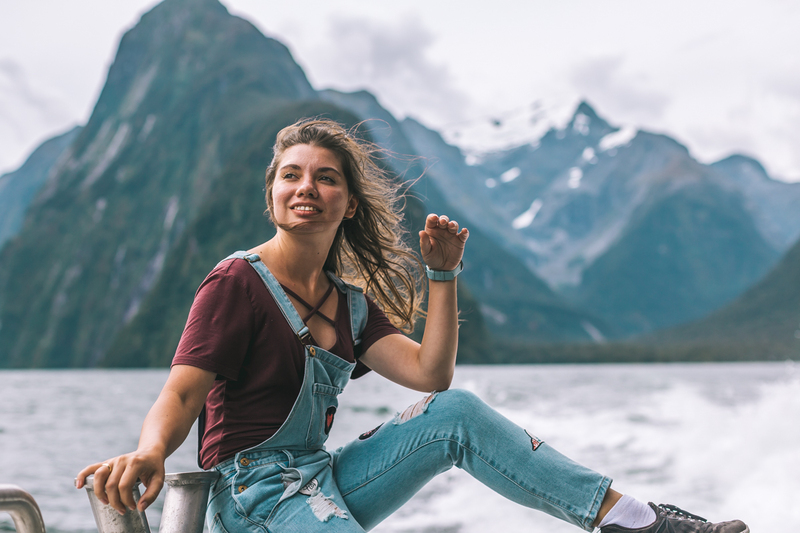 Some people prefer to spend a night in Te Anau – the closest to fjord town. Traveling from Invercargill is approximately as long as from Queenstown. 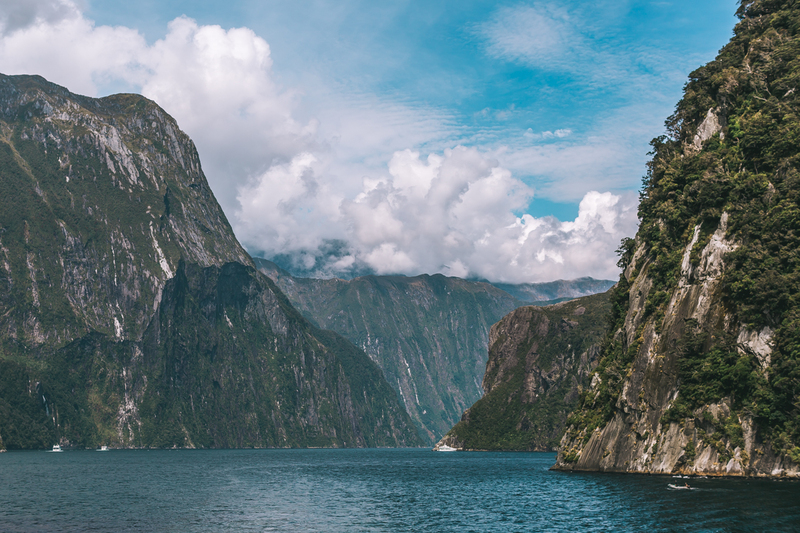 WHAT MILFORD SOUND CRUISE IS THE BEST? 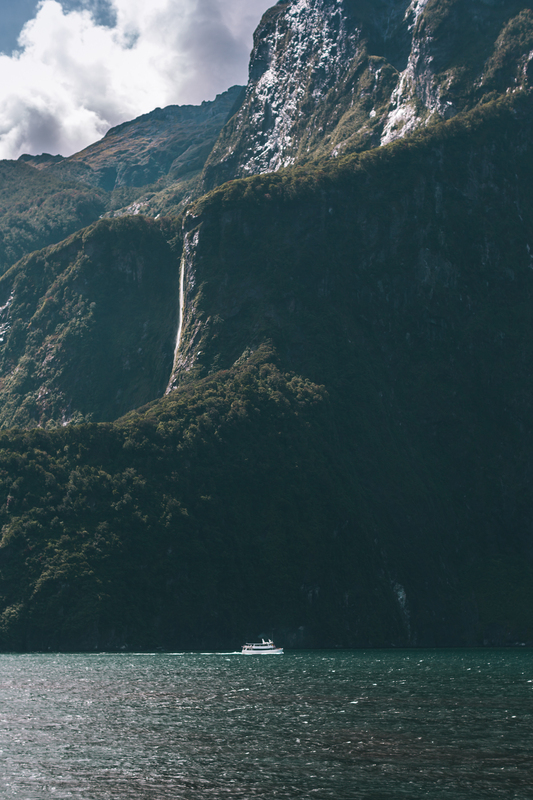 Among all the ways to explore Milford Sound, cruise sounded the most attractive to us. It takes only two hours but you get to see the best of the best. 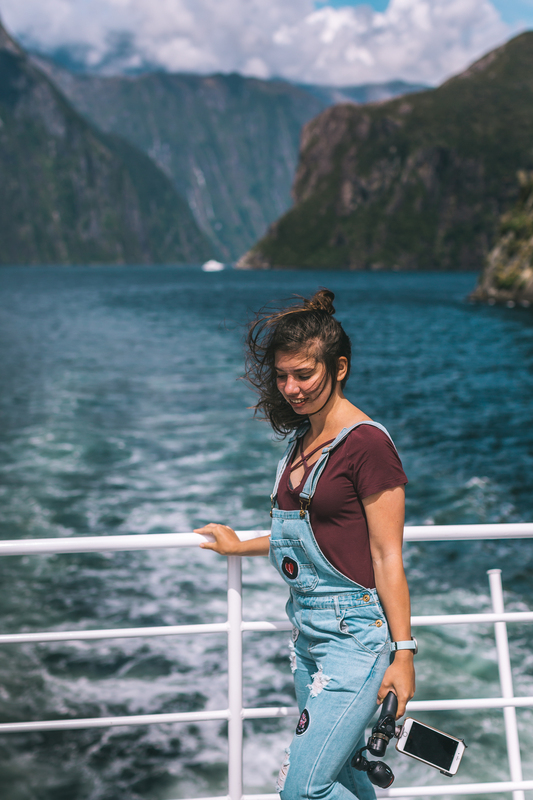 Normally the cruise is accompanied by breakfast or lunch and anything with food involved automatically ticks all the boxes of my wish list. 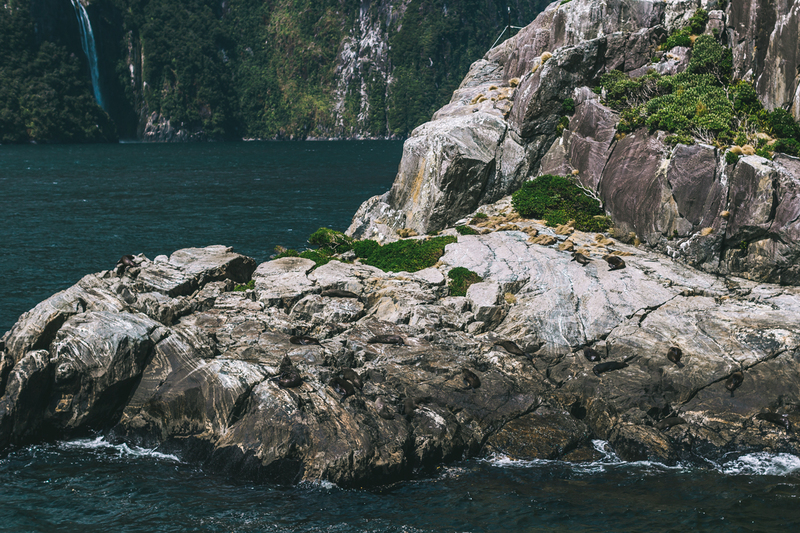 There are also kayaking and walking tours, which sound intriguing as well but obviously require more time than we had. After a short research, I happily booked the cruise with Southern Discoveries. 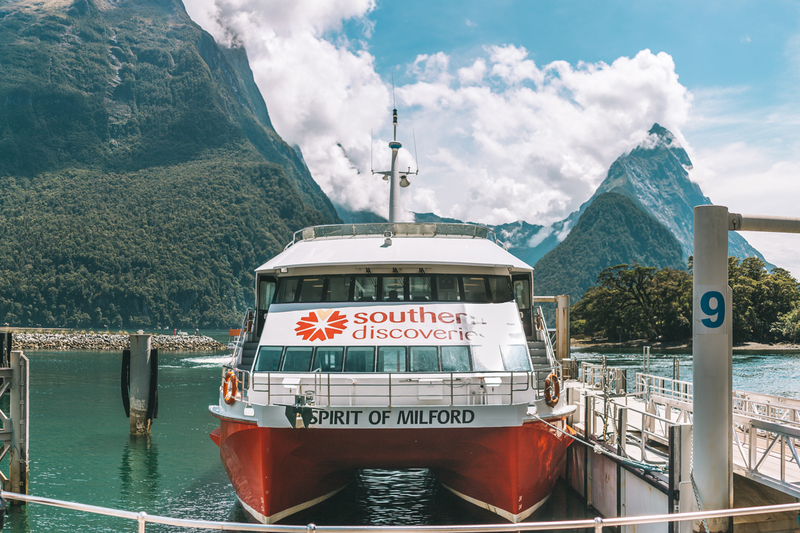 This is the oldest company operating in this area and the only one to take you to the unique Underwater Observatory, a “secret” building hiding 10 meters under the water surface that allows you to learn more about the native species of Milford Sound, while admiring their exotic life through the giant windows. It is the only floating underwater observatory in New Zealand. Awesome! 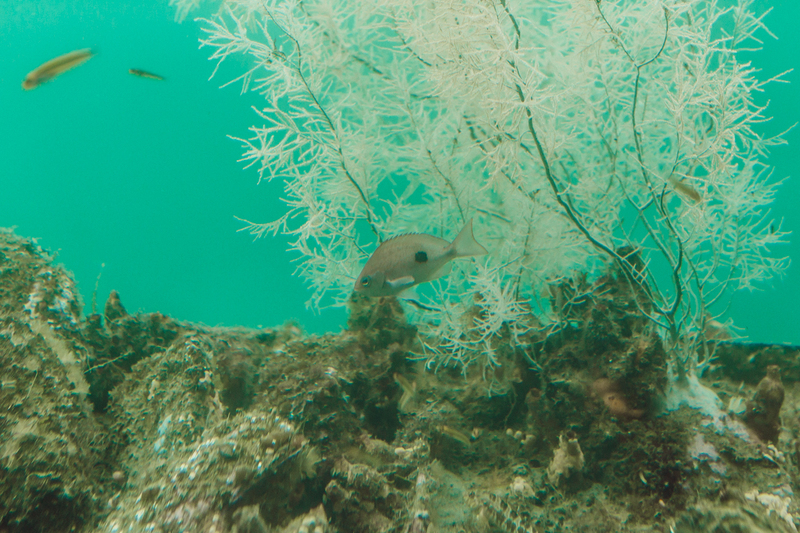 Exploring the eighth wonder of the world both from above and from under the water? Sign me in! The tour itself was beyond any expectations. Guides were super informative and extremely entertaining. I mean, why being too serious when admiring cure seals trying to cool themselves down on a flat rock? Funny jokes felt way more appropriate. 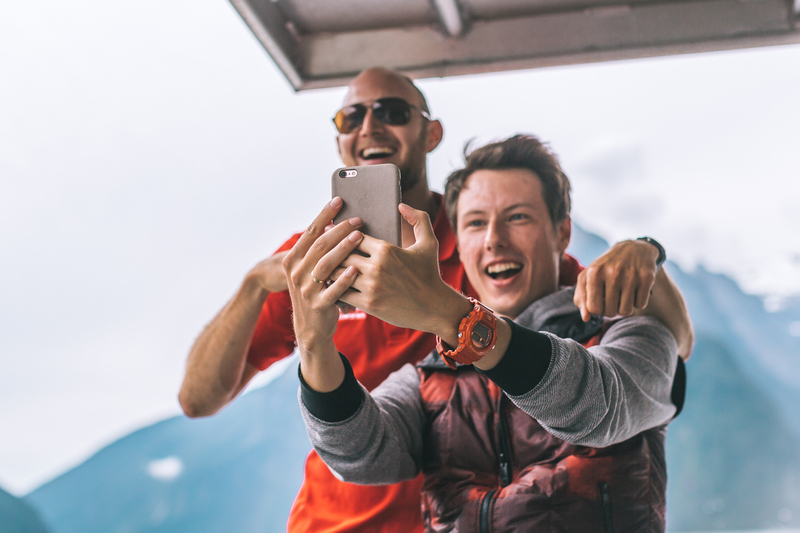 And I couldn’t be more fascinated by the level of knowledge, demonstrated by the guys from the Underwater Observatory – they kept on answering each and every question from curious tourists and there were probably thousands of them. 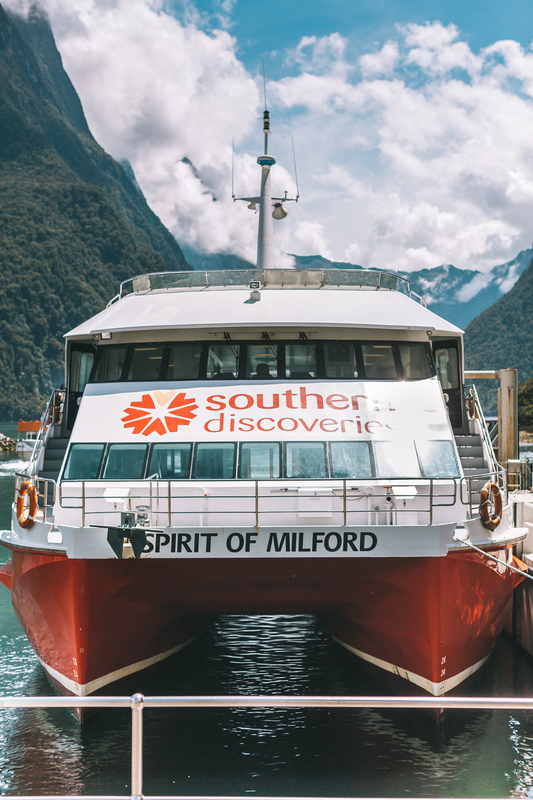 By the way, Southern Discoveries also provide helicopter and kayaking tours and can drive you all the way from Queenstown on a comfy glass-roof bus with multi-lingual guides and free tea and coffee. 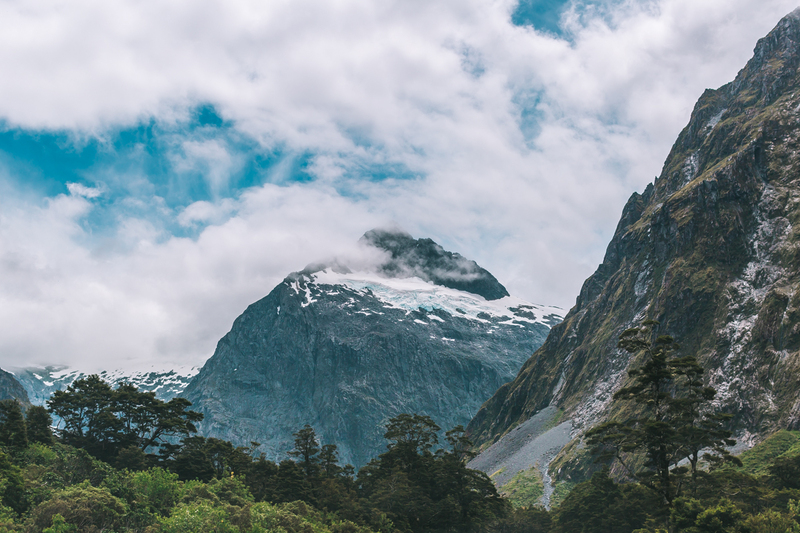 WHAT TO SEE ON YOUR WAY TO MILFORD SOUND? Eglinton valley. Absolutely eyes-popping place! 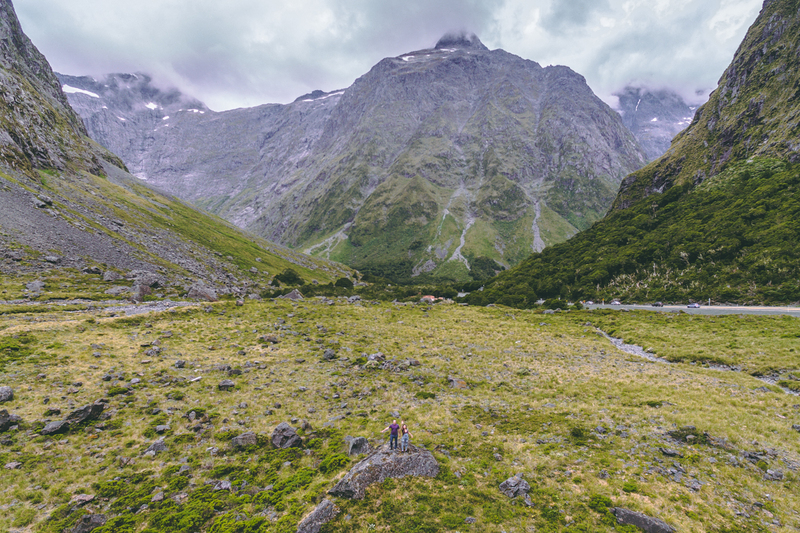 This valley was formed by a glacier and looks exactly the way you imagine an iconic landscape of the South Island to be – desolate, tranquil, with high mountains all around. Mirror lakes. 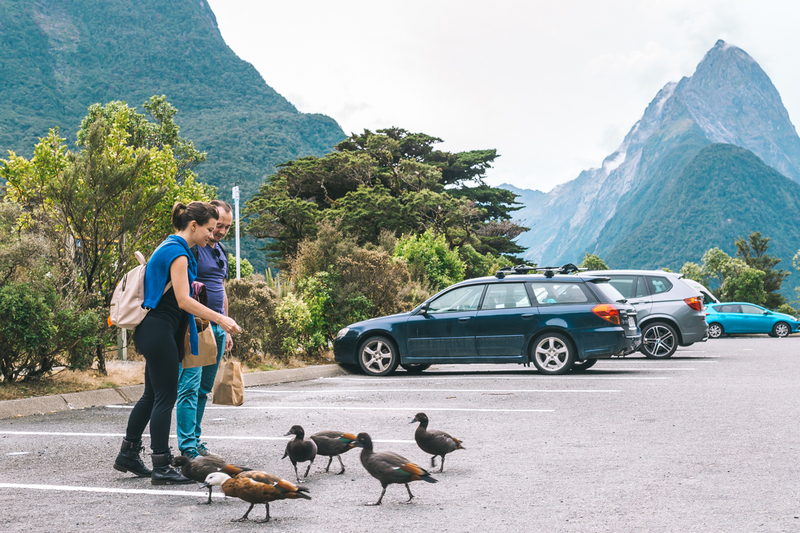 A well-known stop on the way to Milford Sound (get ready to squeeze your lil car in between many giant touristic buses). 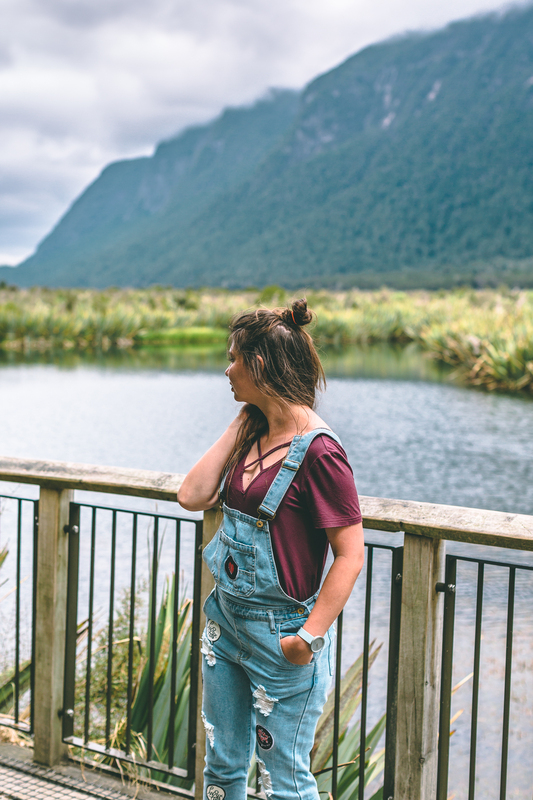 As comes from the name, on a clear day, Mirror lakes provide you with a perfect reflection of the landscapes around. 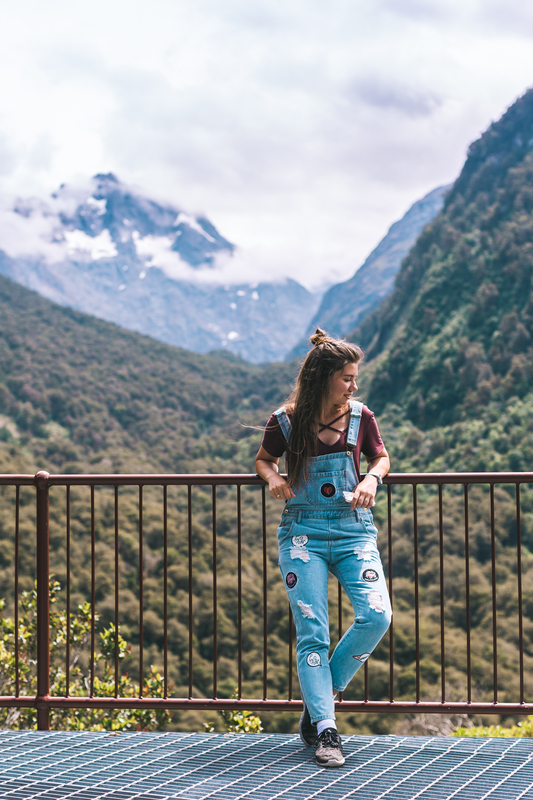 Hollyford valley lookout. What a gem! Tiny see-through terrace looms over the magnificent valley, surrounded (if you didn’t figure out the trend yet) by some spectacular mountains. There are very interesting informative signs at the lookout, that help to know the region you’re exploring a little closer. Homer tunnel. 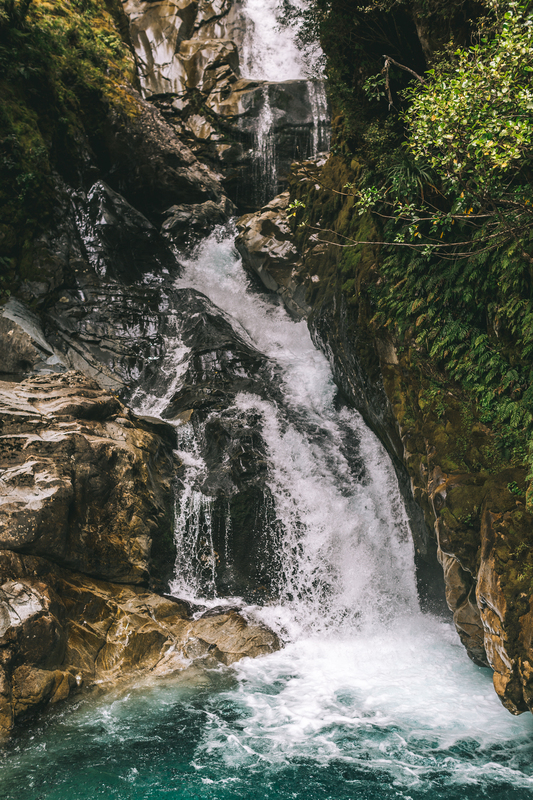 Or should I rather say – the valley BEFORE the tunnel? 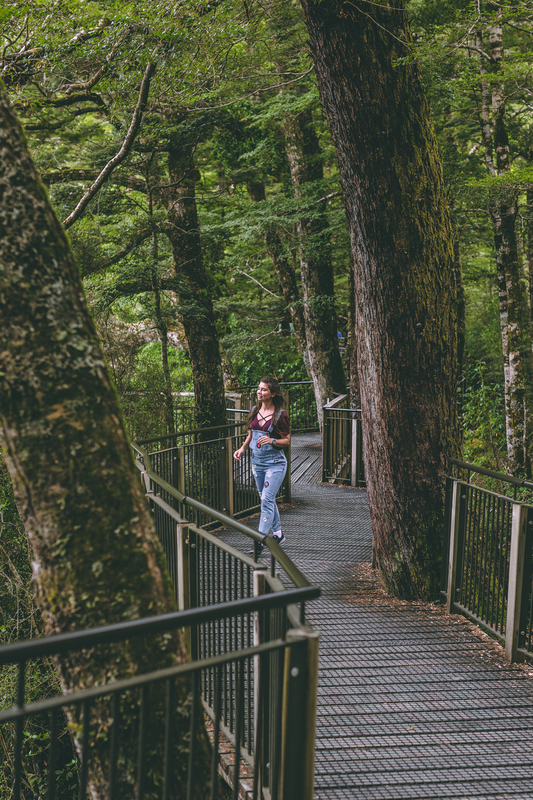 You’ll probably have to wait for your turn to pass this nearly kilometre long one-way tunnel, so use the chance to soak in the beauty around you. 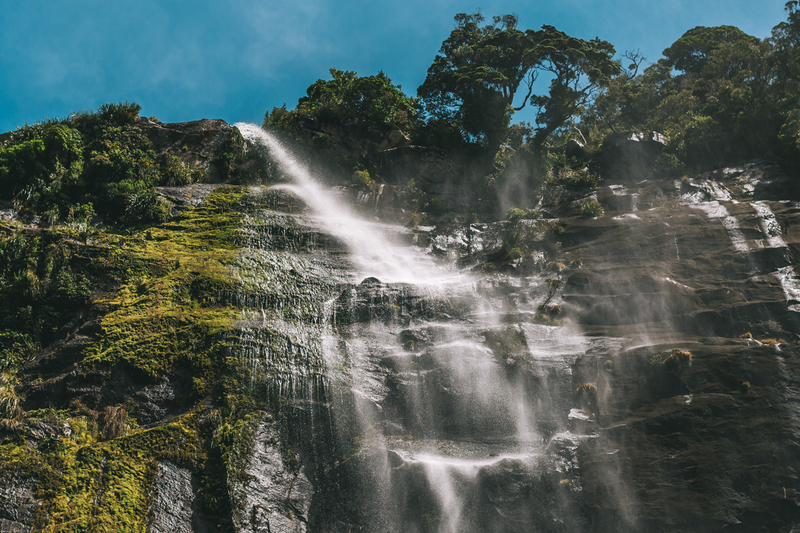 With the waterfall on one side and gigantic dark cliffs on the other, that place will leave you speechless! 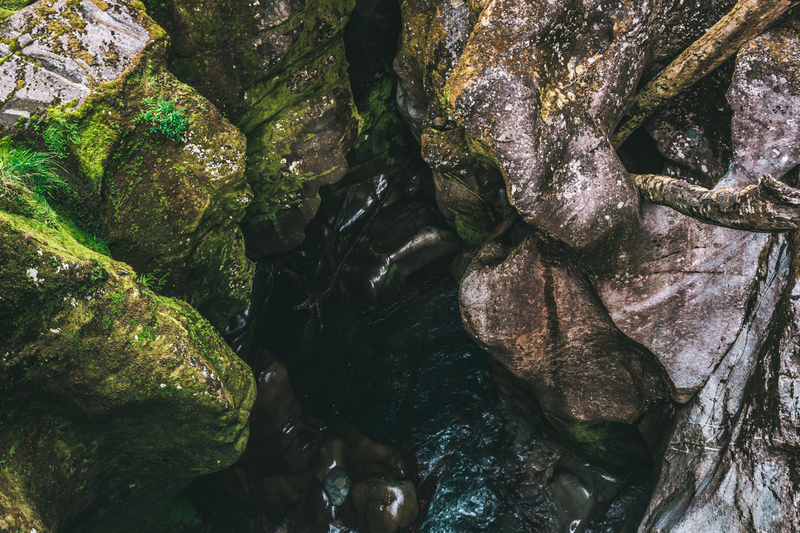 The Chasm. 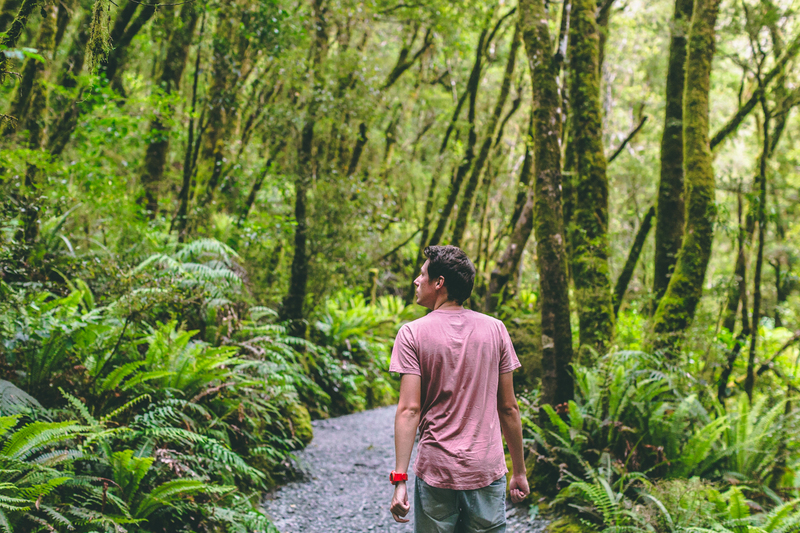 Quick 15-minutes loop takes you to the most unusual place. Cleddau River formed bizzare potholes and waterfalls here. 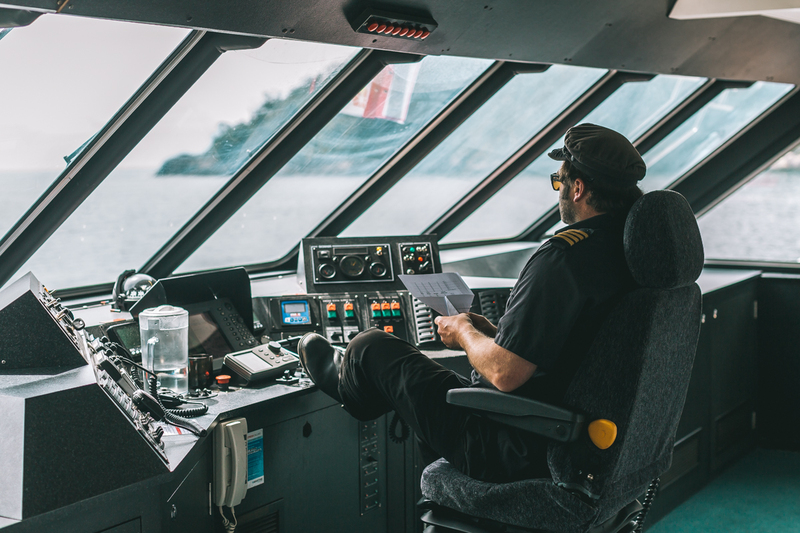 Observing them from the bridge is like peeking in the “Avatar” backstage – hard to believe these views are from planet Earth and were formed by nature. 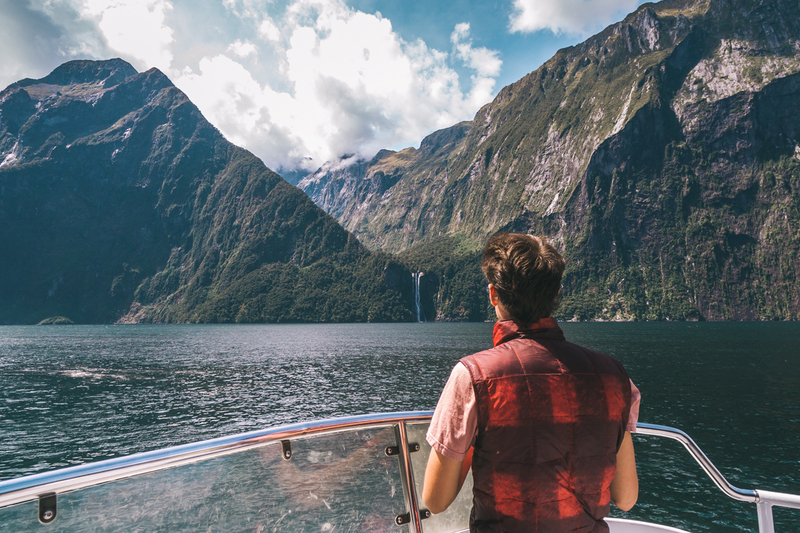 That’s how you spend a perfect day in Milford Sound! 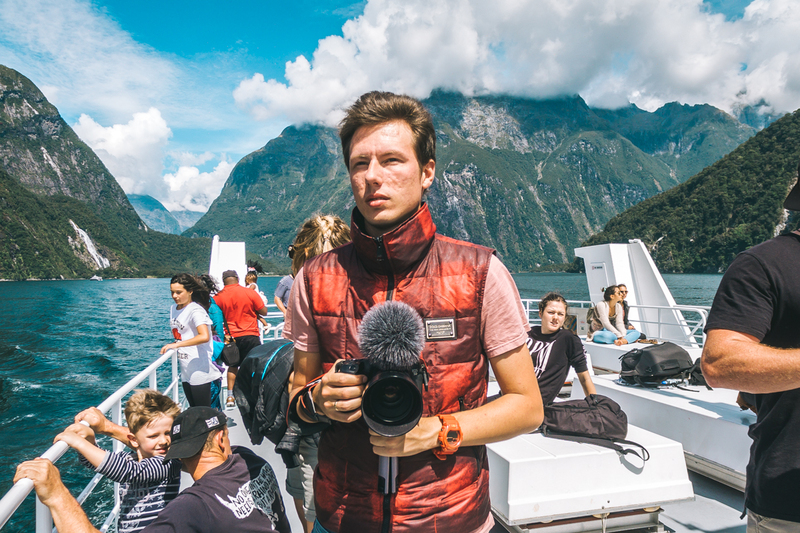 Obviously, no way I can describe all the emotions we felt while exploring that gorgeous fjord – that is something you have to experience yourself.